After the long holiday weekend, stocks started off the week on Tuesday by finishing essentially unchanged on low volume trading. On Wednesday, Eurozone fears drove stocks down again, with the S&P 500 dipping negative for the year once again. 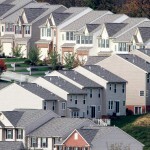 This flip to the negative side was reversed on Thursday on positive initial jobless claims and housing starts reports. 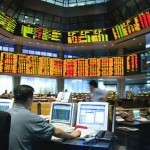 The market ended the 2011 trading year on Friday with a modest loss. For the year, the three major indexes had different outcomes – the Dow gained, the S&P 500 was flat, and the NASDAQ lost. It has been an honor to work on behalf of our clients and their families to meet their investment needs. Thank you for allowing us to serve you. 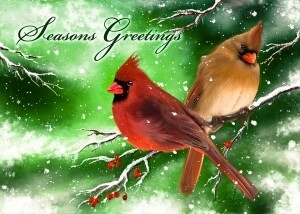 We wish you a happy holiday season and a prosperous 2012. On Monday, stocks headed south again on banking worries, both home and abroad. The familiar refrain of European debt woes once again is at the root of the uncertainty in the market. The major indexes soared by 3% on Tuesday on news that US housing starts recorded their largest percentage gain in 19 months, further indicating a healing US economy. However, the strong upward surge was accomplished on thin volume. On Wednesday stocks erased an early morning loss to finish near the unchanged mark. Thursday made it three positive days in a row for the Dow, as weekly initial jobless decreased once again. The markets headed into the long holiday weekend with another solid gain on Friday, as stocks hit a 5-month high and the S&P 500 moved into positive territory for the year. Investment scams committed against those over 50 is a rampant and growing problem. Many times victims are tempted to take risky actions to overcome the losses suffered during the financial crisis. 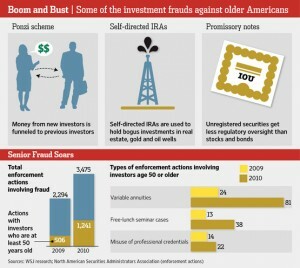 Spread the word about these investment scams to protect yourself and others. Stocks fell sharply on Monday when Moody’s Investors Service and Fitch Ratings both stressed that last week’s Euro debt crisis summit did little to diminish the threat of future debt downgrades of several Euro countries. On Tuesday the Fed did not give any hint of upcoming quantitative easing, sending the markets down again moderately. A declining Euro put downward pressure on stocks again on Wednesday, as the Dow absorbed another 1% loss. On Thursday, stocks broke their losing streak on news that the US initial jobless claims is at its lowest since May 2008. 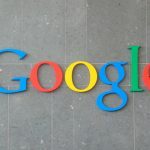 While stocks started out high on Friday on a positive US inflation gauge report, these gains were wiped out by the end of the day on news that Fitch ratings put six European countries on debt downgrade alert. After a strong morning gain on Monday, stocks gave back much of their gains after initial optimism over improvement in the Euro debt problem faded into suspicion that Standard & Poor’s would put many of the Euro zone countries on debt downgrade warning. 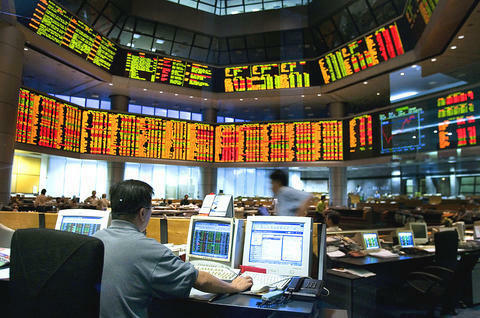 On Tuesday the major indexes finished mixed, with the Dow leading the way and the NASDAQ registering a small loss. Wednesday saw nearly an exact repeat of Tuesday for the major indexes, as conflicting reports from Europe over debt relief caused stocks to yo-yo much of the day. On Thursday, disappointment over the European Central Bank’s decision to not step-up the purchase of government bonds sent stocks lower about 2%, wiping out the Dow’s gains for the week. Stocks gained back most of the previous day’s loss on Friday as consumer sentiment and October US trade deficit reports pleased investors. The state-tax savings for families investing 529 college savings plans depends very much on where you live. The chart to the left shows the state-tax savings for a couple filing a joint 2011 return with $100,000 in taxable income and contributions of $2,500 each to two children’s in-state 529 savings plans. 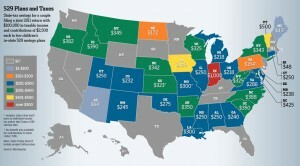 For example, North Carolina’s benefit is in the mid-range at $388, but note that 16 states don’t offer any tax benefits! Searching for a unique holiday gift for your friends and family? Read the latest issue of NorthStar’s newsletter for two money-savvy recommendations for both young and old. 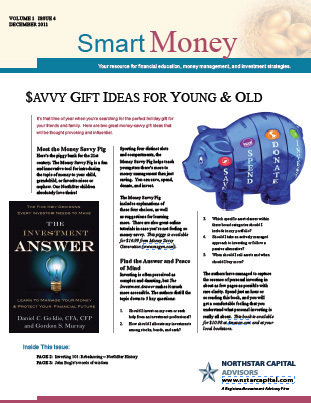 Here’s the December issue of Smart Money. 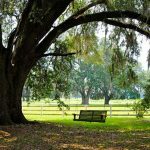 This is a complimentary newsletter published by NorthStar Capital Advisors that covers financial education, money management, and investment strategies. The Investing 101 column defines “rebalancing” and describes why it’s important to optimize your portfolio. This quarter’s issue also covers the academic origins of NorthStar and words of wisdom from John Bogle, an investment giant of the 20th century. We hope you find this information useful. Please feel free to share with family and friends if you find it valuable. 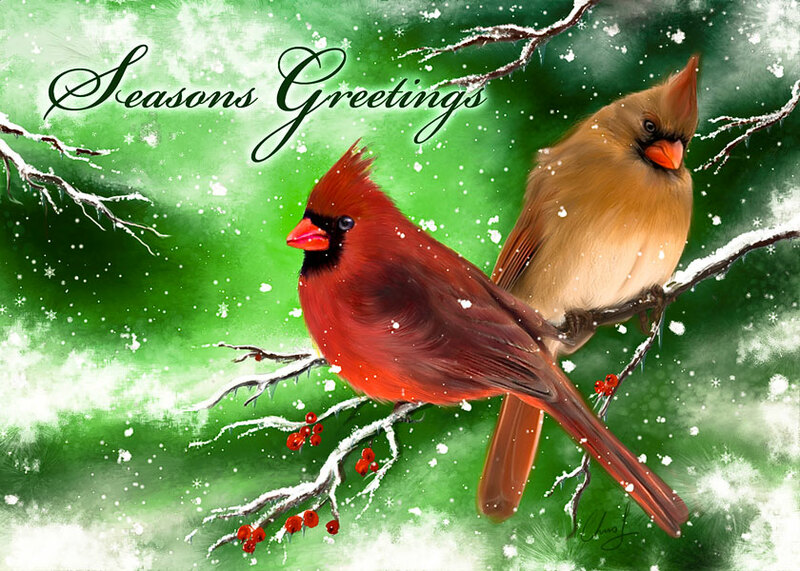 Best wishes for the holiday season! Stocks soared well over 2% on Monday following record-breaking Black Friday numbers the previous week. On Tuesday the Dow and the S&P 500 upheld Monday’s large gains, while the tech-heavy NASDAQ gave back 0.5%, despite a positive consumer spending report. News of global efforts by the world’s banks, in particular making it less expensive for European banks to borrow US currency, sent the Dow skyrocketing almost 500 points, its largest one-day gain since March 2009. 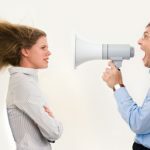 On Thursday, a weaker-than-expected weekly jobs report dampened Wall Street spirits a bit, but the lack of a significant loss following the huge Wednesday gain was encouraging. Stocks finished the week on Friday essentially unchanged for the day despite a report that the US unemployment rate fell to a 2 1/2 year low of 8.6%. 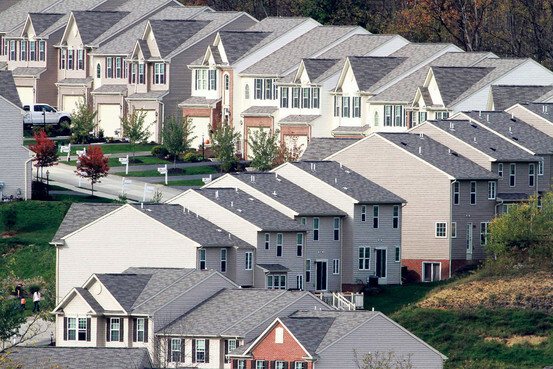 Home prices and mortgage rates have fallen so far that the monthly cost of owning a home is more affordable than at any point in the past 15 years and is less expensive than renting in a growing number of cities. However, lending standards are so tight at this time that many prospective buyers can’t take advantage of this opportunity. 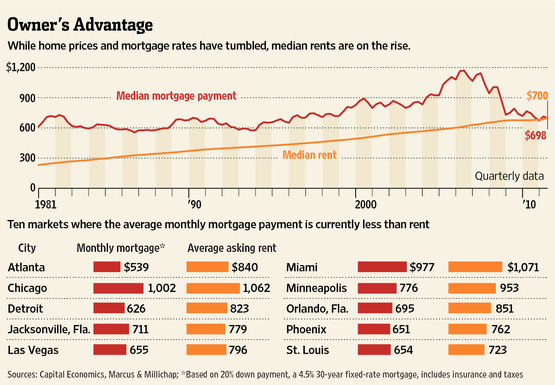 The charts below show it is cheaper to buy a home in cities like Atlanta, Chicago, Detroit, Jacksonville, Las Vegas, Miami, Minneapolis, Orlando, Phoenix, and St. Louis. 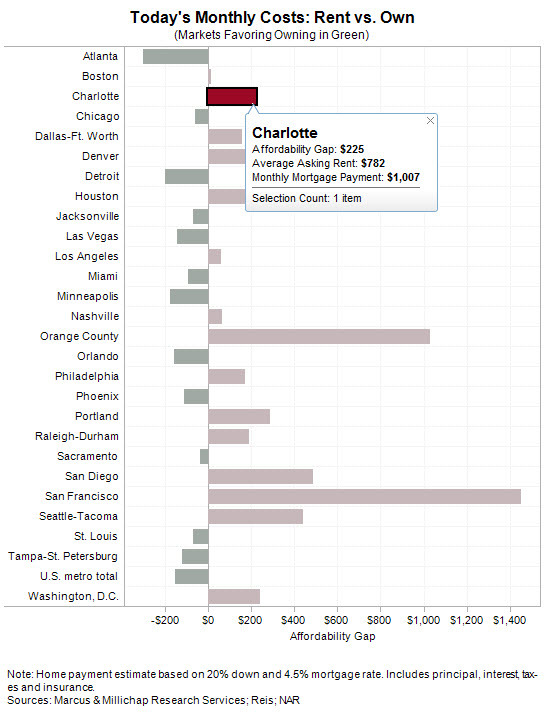 However, it’s still cheaper to rent in our hometown of Charlotte, North Carolina.